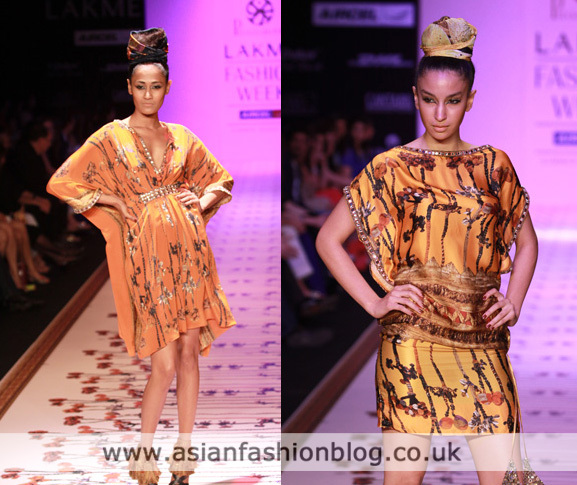 I've not really covered any of the western-style outfits from the catwalk at the Summer Resort Lakme Fashion Week 2011 in India because I've wanted to keep the focus on asian fashion (this is Asian Fashion Blog after all! 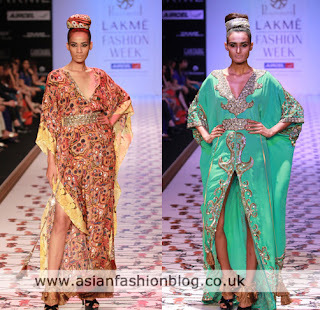 ), but I just couldn't ignore this Moroccan-inspired collection from Pria Kataaria Puri. 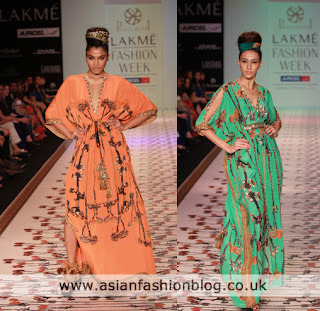 There was much more to the collection than these maxi dresses, beach cover-ups and tunic tops, but these were my favourite part of her show. 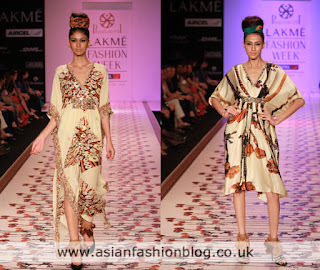 The show ended with these two glamourous sparkly dresses. Both very pretty but I think they're a tiny bit out of place compared to the rest of the more relaxed, printed fabric looks. Does this collection make anyone else feel liking booking a beach holiday immediately?! To view more visit the Lakme Fashion Week website.